AOHC is proud to go above and beyond in helping our business partners do more than just maintain the status quo in the work place! 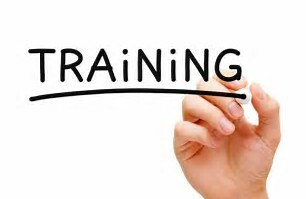 We offer the following training's that can be done onsite or hosted at our clinic's meeting area. Call 479-725-3049 to schedule all training's and for pricing. This class teaches your supervisors how to better recognize someone who may be under the influence of drugs or alcohol in the workplace. The class instructs them on how the most commonly abused substances affect the body, motor skills, judgement etc...and how this will impact productivity in the workplace. It then covers how to properly document all situations and how to handle the confrontation. It also covers drug testing procedures, things collectors look for when testing individuals and myths about drug testing. This class meets all DOT regulations for supervisors. Certificates of completion are given to all who complete the class! First Aid/CPR/AED & Basic Life Support for Healthcare Providers - AOHC offers these American Heart Association, National Safety Council and Red Cross life saving classes. These classes can be done onsite or at AOHC. The First Aid/CPR/AED class is perfect for companies that have first responder teams. Person's who complete the class have a two year certification from the AHA, NSC, or Red Cross. This class covers the OSHA requirements pertaining to bloodborne pathogen's. Any person in your organization who may be exposed to Blood or other potentially infectious materials must be trained annually.